Available with either our standard elastic gripper or our new Silicon injection gripper which hold bib short lower cuffs in place in all conditions without irritation. Correct sizing is critical to receive performance benefits from this product. 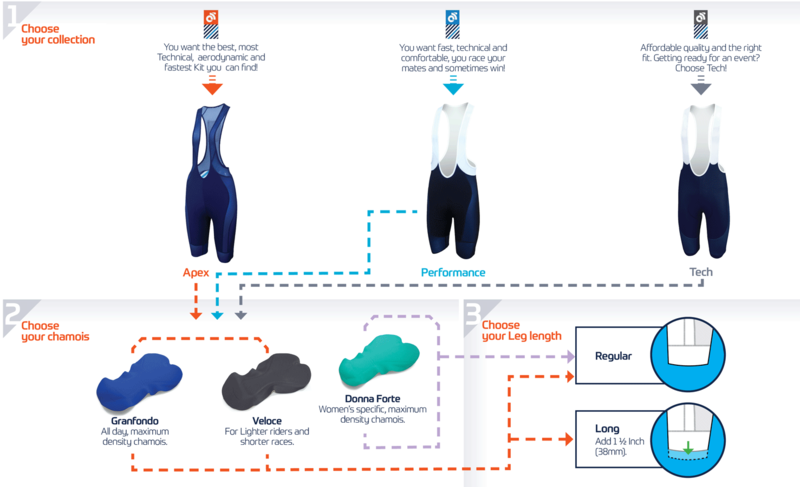 Samples are available, on request, to help customers make the right informed sizing decision.